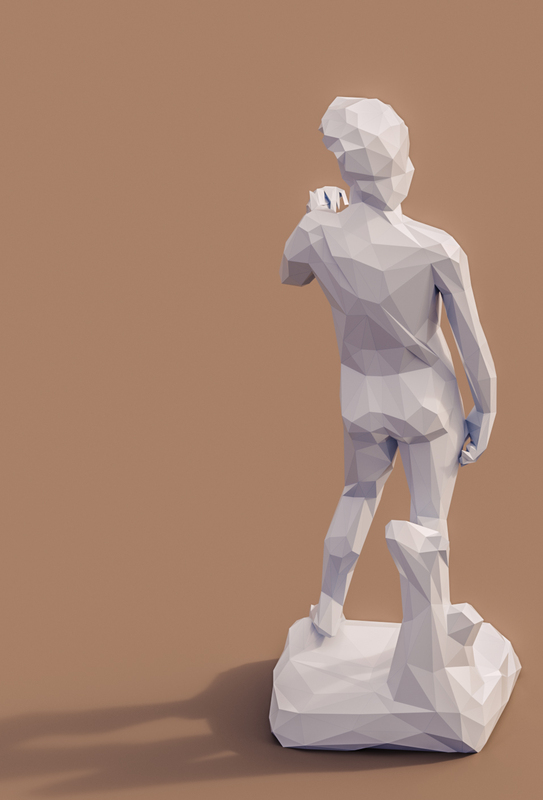 This is a lowpoly 3d model of David Statue by Michelangelo. 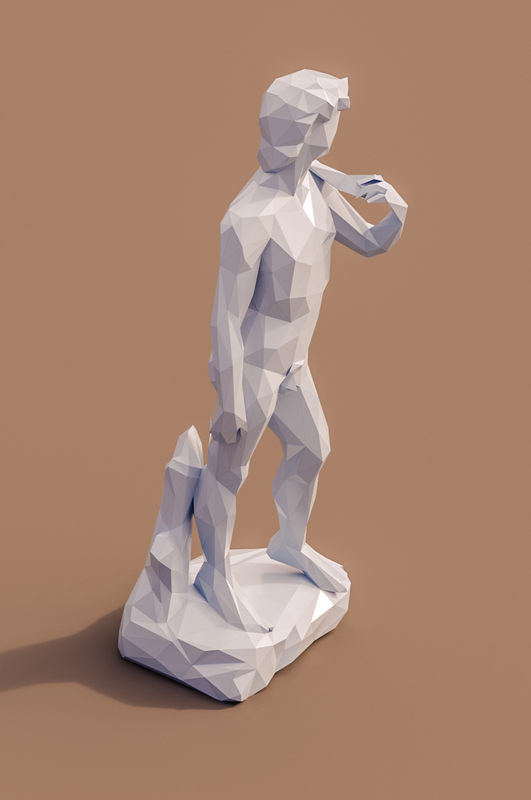 The lowpoly statue was modelled and prepared for low-poly style renderings, background animal, general CG visualization. 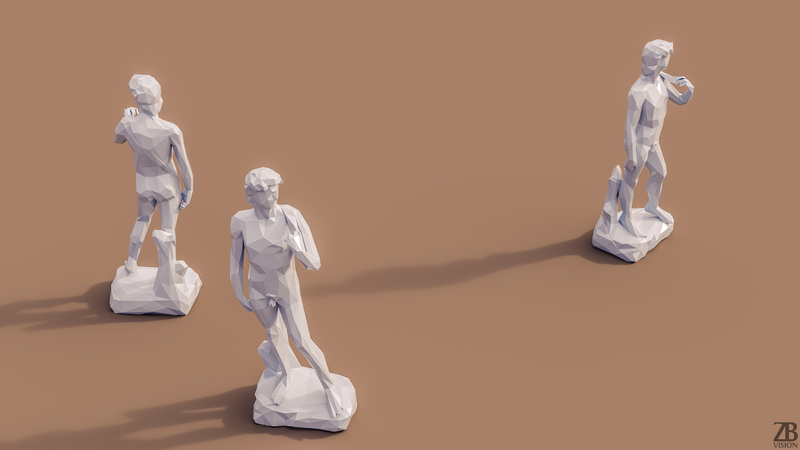 The 3d marble sculpture is ready to be inserted in your scene out of the box. 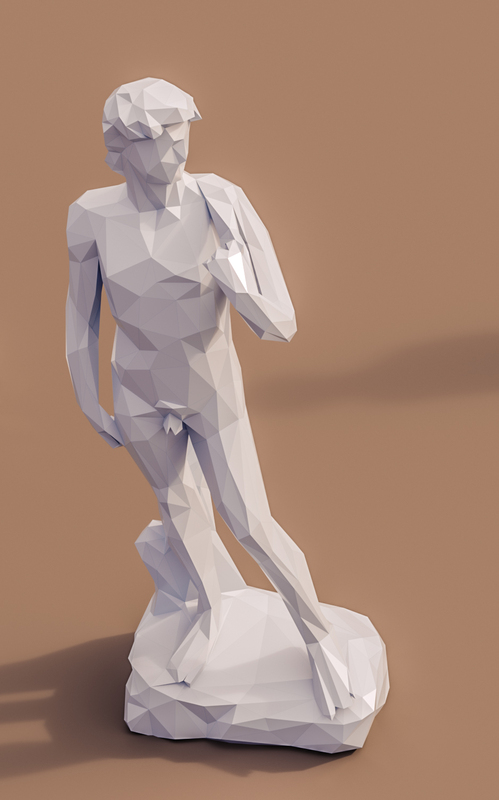 The 3d male statue of civil liberties model is presented as single mesh. Pivot is set for ease of use at the lowest point of object. Mesh is tris only. The polycount is 1457. All preview images were rendered with Corona. 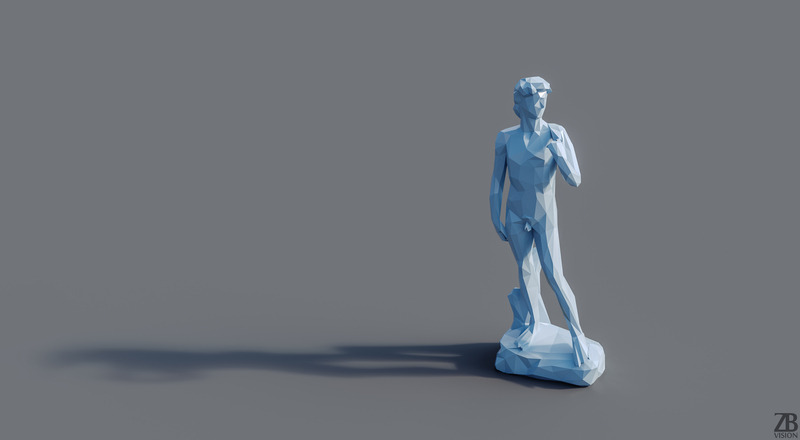 You will get only the lowpoly David Sculture model visible on the renders and not the scenes used for the preview renders. Product is ready to render out-of-the-box. Please note that the lights, cameras, and any background not described above objects are not included in the product. 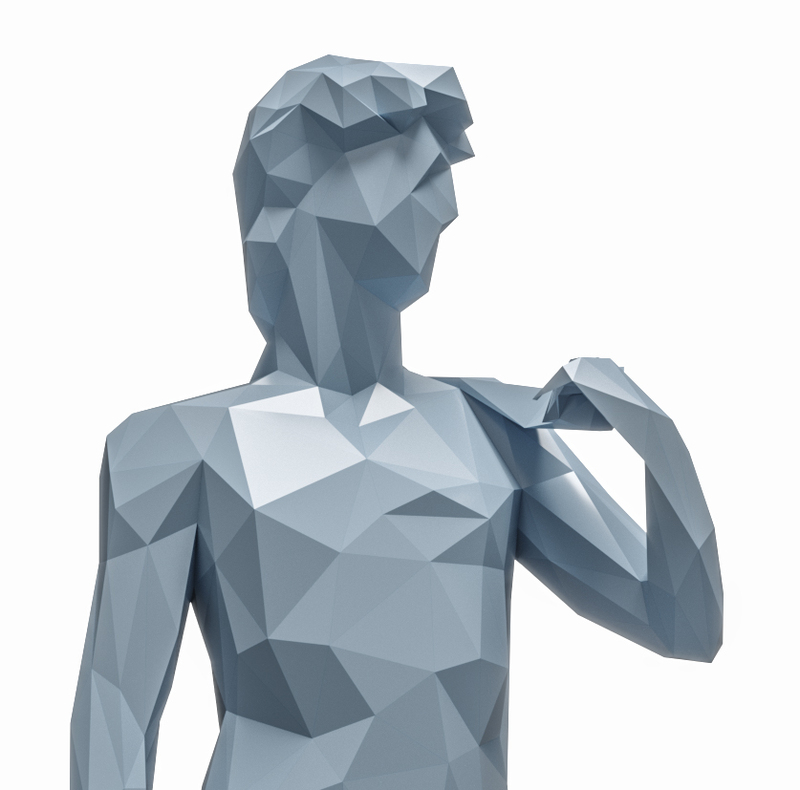 The model is clean and alone in the provided files, centred at origin and does not have real-world scale.